202 Desa Cahaya (202 DC) is a freehold condominium consists of four 5-storey blocks and has a total of 122 units. 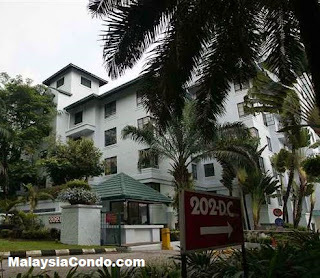 Desa Cahaya is strategically located along Jalan Ampang in Kuala Lumpur surrounded by a handful of embassies such as Spanish, Thailand, French, British and Chinese embassies. Built-up Area : from 1,870 sq.ft.